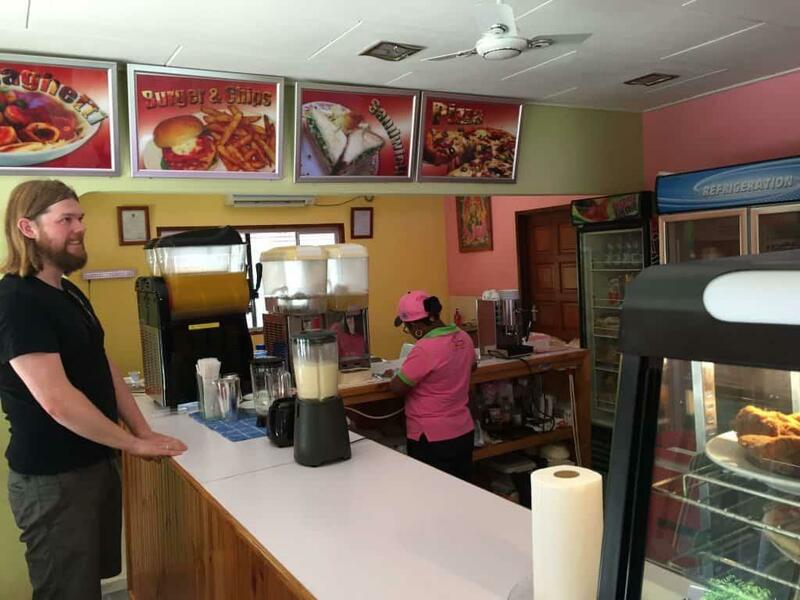 Like so many of the fantastic creole takeaways in Seychelles, Gala Takeaway is the very definition of not judging a book by its cover. 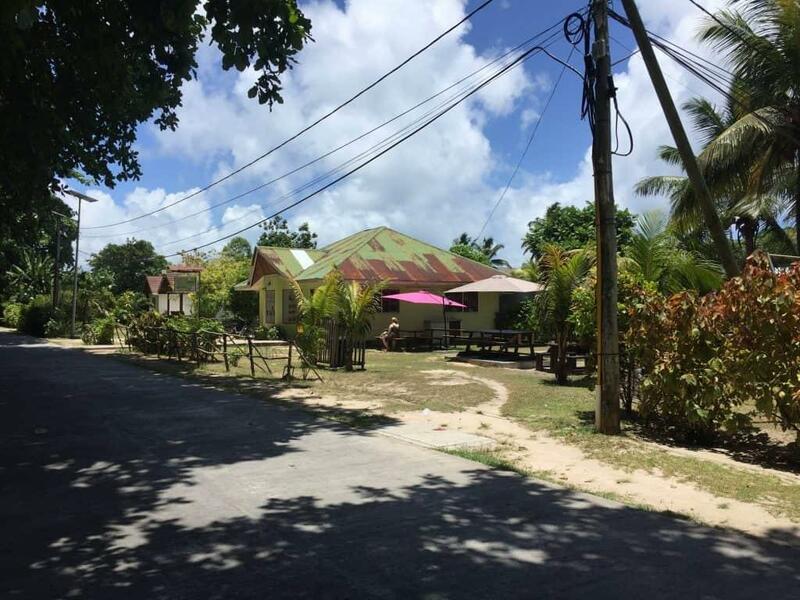 Hidden behind the lime green exterior and underneath the rusted corrugated roof you are going to find some of the most delicious and affordable food on La Digue island. 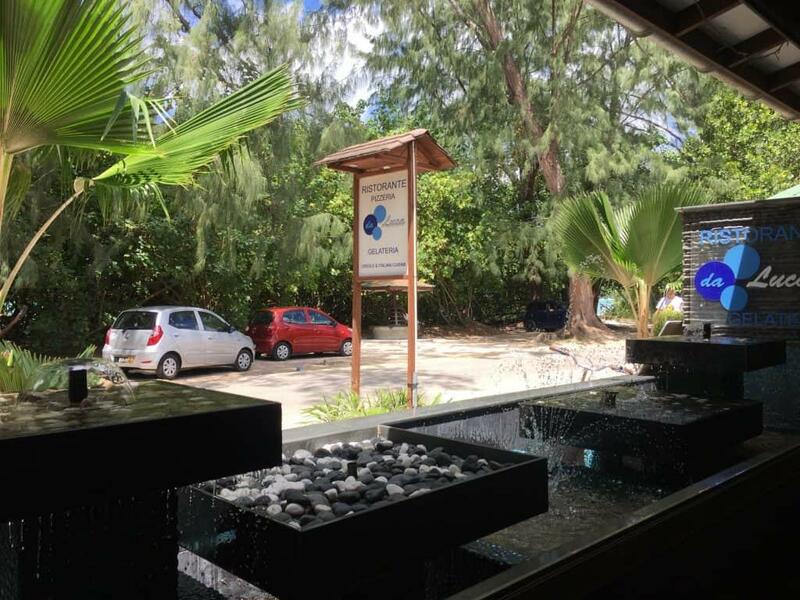 Situated opposite Veuve Reserve – home of the rare Seychelles Paradise Flycatcher – it is the perfect stop off for a bite to eat whilst on La Digue. 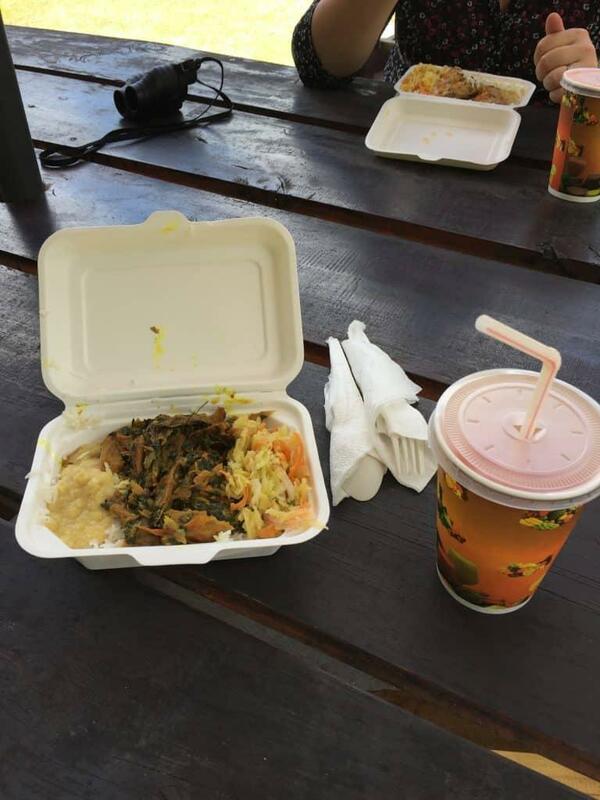 For an incredibly reasonable 225Rs (approx £12) we treated ourselves to salt fish and coconut curry, fish fillet in garlic sauce and two freshly blended (as in right in front of us!) 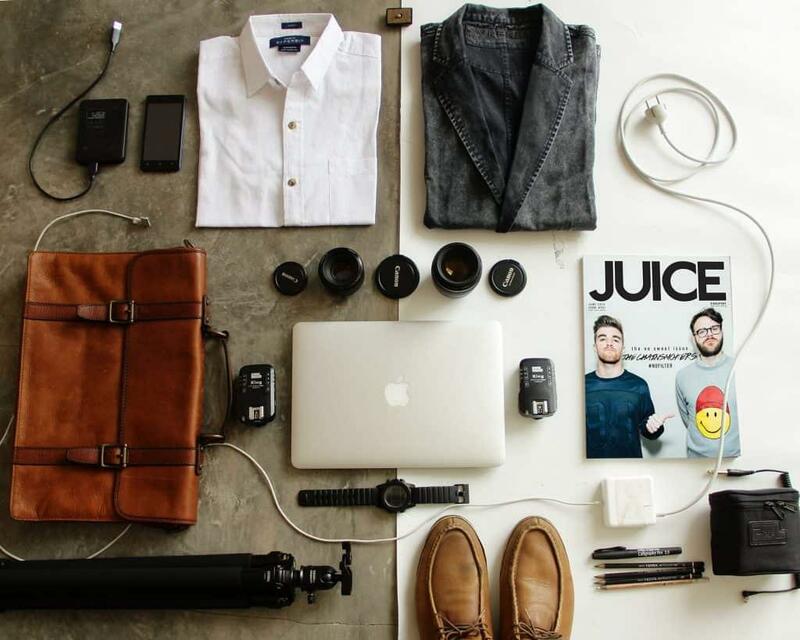 fruit juices. 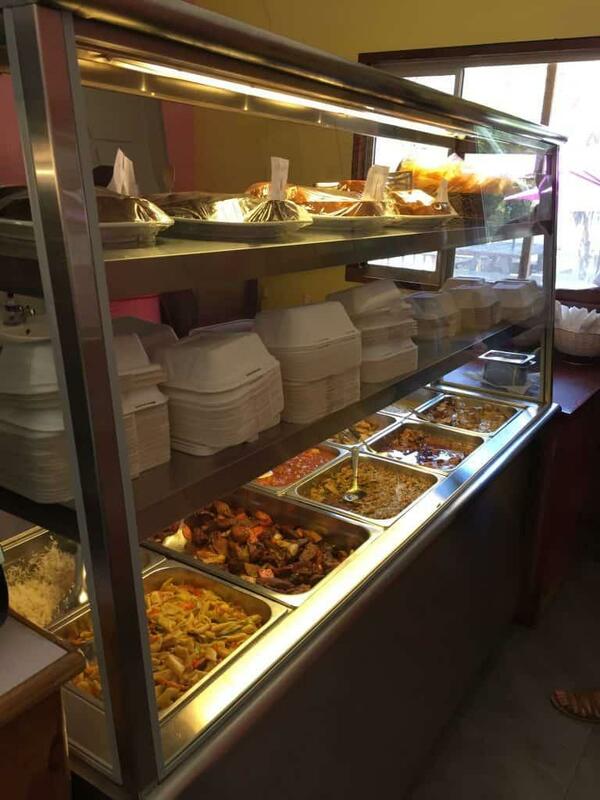 The menu is freshly prepared everyday. Ignore the temptation (ahem!) of the food pictured on the knocked off British Fish and Chip shop signage and go for the good stuff, the lovingly prepared creole food. This is served with rice and lentils into takeaway containers that end up becoming a solid bicep workout to lift off of the counter. You are not going to go hungry here! With the food changing daily it’s not always clear what’s what but forget the menu and just have a look at the counter. If it looks good it almost certainly is! A few questions later and you’re away. 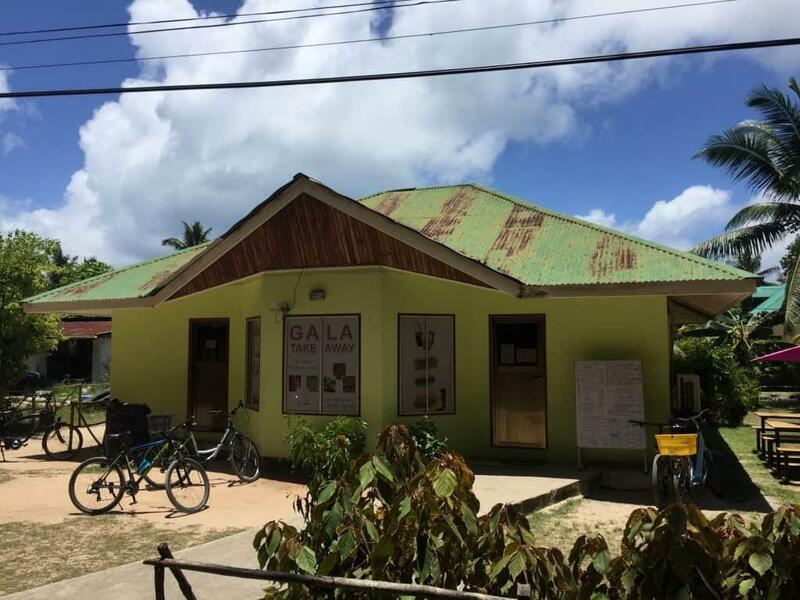 Despite the name ‘Gala Takeaway’ there is actually quite a bit of seating both inside and out so grab a table in the sun and feast on some typically Seychellian food.